This was definitely more supernatural thriller than horror for me. 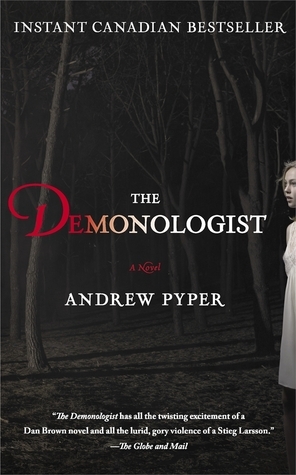 I was expecting (okay, really, really hoping) that The Demonologist would be really scary and would keep me up at night. The blurbs on the front cover, back and the two and half pages on the inside really got me pumped. Unfortunately, I was more bored than scared. I think it was mainly the main character. I was super bored with him. Right from the start, I felt really bored with him. I thought the plot was really manufactured and didn’t seem to flow naturally. And there was so many coincidences. I just didn’t believe most of it. Overall, there was a lot of potential with this book but it just didn’t work for me. Agreed. But I’ve seen some good reviews so maybe it was just me. LOL.